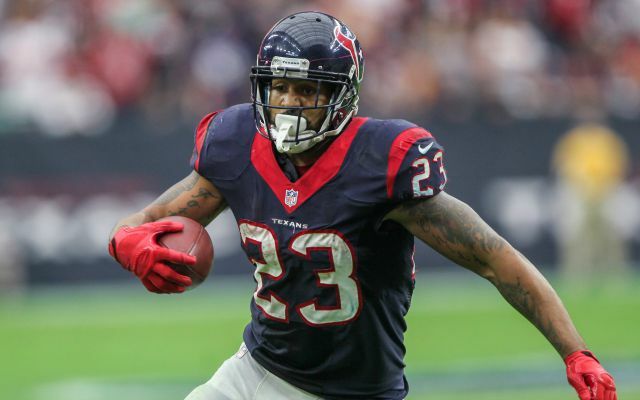 Do the Dolphins realize Arian Foster makes them more injury-prone? ....probably not, because they're the Dolphins. Because Miami put a head-scratching amount of money into their defense last offseason, aka giving almost all of it to Ndamukong Suh, they were forced to watch the young and talented Lamar Miller bolt for the Houston Texans and were forced to sign Arian Foster, who coincidentally spent his entire career with Houston. It's not a horrible move, but Foster probably won't help them as much as they think. Putting the jokes aside for a second, the move makes sense for Miami considering they needed to replace Miller with someone who can assume a starting role. Foster has filled that role well in the past, but he's 29 years old and already on the downside of his career after suffering multiple leg and back injuries, as well as a few others. Foster's past success as a running back and his ability to catch passes make him attractive, and it's not surprising that the Dolphins took a chance on him considering they don't have much offense outside of a slightly above average Ryan Tannehill and Jarvis Landry, who is a very good wide receiver. However, Foster has only played in 33 games over the last four seasons. The chances he gets hurt again are monolithically high. And for a team that lost a ton of key players to injury last year (Cameron Wake, Mike Pouncey and Rishard Matthews, just to name a few of the notable guys), Foster only makes that worse. What's more, he also has a lot of miles on him even though he's only been in the league since 2009. Foster, when healthy, averaged upward of 20 carries per game, which was the highest in the NFL. Running backs usually deteriorate quickly, and Foster is one of the many that have gone down that path. Can he be effective in Miami, though? Given his versatility, it's certainly possible. That being said, this move is still very risky. It would be one thing if Miami had a capable, young running back who could split carries with Foster or could even take on a more prominent role, but they don't. They're going to rely on Foster to be the guy, and that should be an unsettling feeling for Dolphins fans. They'll be holding their collective breath each time he touches the ball. They know it's not a matter of "if." It's a matter of "when."